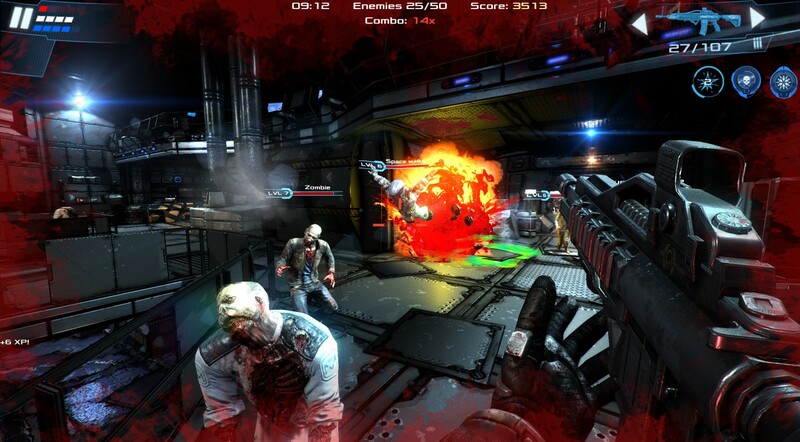 Badfly Interactive’s Dead Effect 2 is a sci-fi, horror first-person shooter filled with zombies, space soldiers, deadly drones and a plethora of high-caliber weapons to fight them with. While this is the sequel to Dead Effect, there is no need to play through the first game to be fully immersed in the story. After choosing your character and class, the premise revolves around your character’s acceptance of being a mutant created by a mad scientist and fighting back against zombies, soldiers and a variety of failed creations. 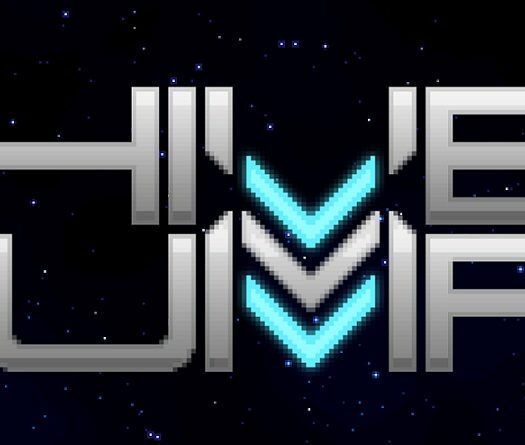 You’ll fight through a multitude of different environments as you retake the massive spaceship, leveling your gear and special psychic abilities along the way. Dead Effect 2 was previously released on iOS, Android, Windows and OS X, but this take on Xbox One felt fresh and unique. A few hours after completing the main story, I felt the urge to return to the game and pick a new character and class to play through it again. My first play through, I started with an assault rifle and finished off with a shotgun. 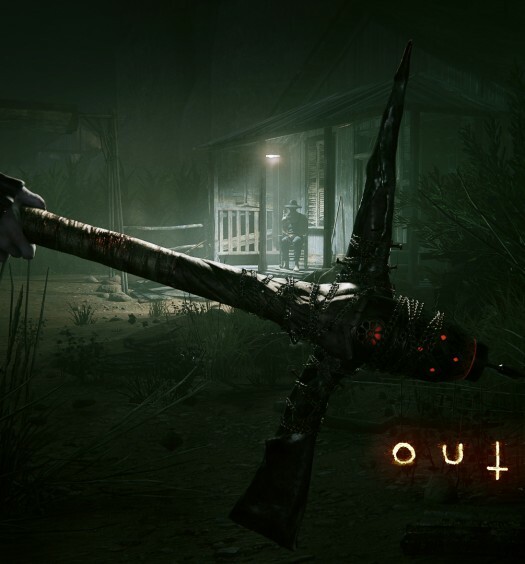 My second playthrough consisted of a katana and chainsaw. The options for weapon combinations consists of mostly anything with which you would want to wreak havoc. Dead Effect 2 starts off fast and doesn’t slow down. Awesome premise – The story of Dead Effect 2 revolves around a motley crew of mutants and scientists seeking to be free of the tyranny of a repressive government and the haunting presence of their creator’s other failed monstrosities trapped with them on a massive spaceship deep in the vast expanse of space. The story is easy to follow and has a few interesting twists that will certainly have you raising your eyebrows. Dead Effect 2 incorporates so many great elements from the sci-fi horror genre, like undead dogs, massive bosses with huge melee weapons and all sorts of creepy-crawling space zombies. I especially loved how many different types of unique hacking interfaces there are in the game. Dead Effect 2 is chock full of potential, and I’ll be sure to revisit this story with another character or two. Action that keeps on giving – Dead Effect 2 meshes subject matter from numerous types of games that were successful from the past decade. From basic zombies that look great and can be blown apart in a variety of ways, to huge axe-wielding bosses and flying super drones, this game has almost everything one could ask for from a sci-fi horror perspective. Weapons include assault rifles, shotguns, katanas, fire axes, fire grenades, fully automatic lasers, chainsaws and crossbows with explosive bolts just to name a few. In addition to a multipart story, there are generic missions, Biohazard mode, Survival mode, Lone Wolf missions and an Infestation mode, giving Dead Effect 2 tremendous replay value. In addition to the different game modes, at any point during the game, you can fully re-spec your character’s abilities for a new play style. Dead Effect 2 has plenty of reasons to come back for more. 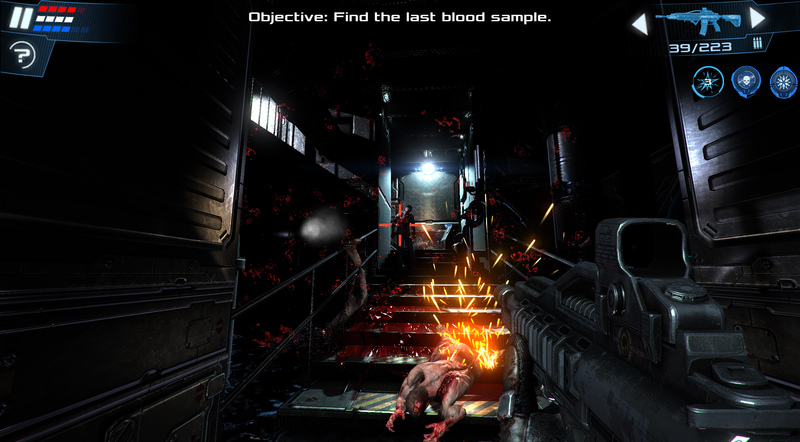 Scaled difficulty – As you play through the story of Dead Effect 2, the enemies are gaining levels and strength as well. You need to be constantly upgrading your gear, mutant implants and abilities before proceeding to the next mission. By the end of the game, the enemies will most likely be a level or two higher than your character, making the final missions difficult but worth it. For your specific character, this may require jumping from the main story into one of the other game modes to level or make some cold hard cash for upgrades. I loved this deviation from the normal play-through of a linear story for first-person shooters. It breathes life into a character and its strengths, making it really take on the RPG feel as opposed to just point and shoot. Poor overall sound and voice acting – Every aspect of sound in this game was jarring and borderline laughable. The dialogue is written at an elementary level, and I quickly found myself skipping through many unnecessary conversations with quest givers. The voice acting is insultingly bad, probably the worst I’ve heard in a few years. The overall sound effects for in-game action are improperly tuned, so that the zombies sounded like a whisper, while the soldiers and my weapons had me turning the volume down on my television during action sequences and back up during conversational ones. The musical composition for Dead Effect 2 is its redeeming aspect, and to be honest, I might look into purchasing the soundtrack if it’s available. The score sounds inspired by Hans Zimmer’s Interstellar and the soundtrack for 2001: A Space Odyssey. Excellent choices for a sci-fi horror video game soundtrack. Bad interface and menus – While the action and leveling in Dead Effect 2 is fun, navigating the interface and menus is not. The font is extremely small while shopping for weapons, gear and new abilities, so deciphering what they said was a chore. The bland blue menus were a pain on the eyes after an hour or so of playing, and by the end of the game, I simply couldn’t stand another poorly made menu to slog through. The system for buying, selling and upgrading gear desperately needs an overhaul. More than once I had an older version of the same weapon equipped, as you need to manually sell it in the store piece by piece. Oh, and there isn’t a buyback feature if you make a mistake. I learned that the hard way. 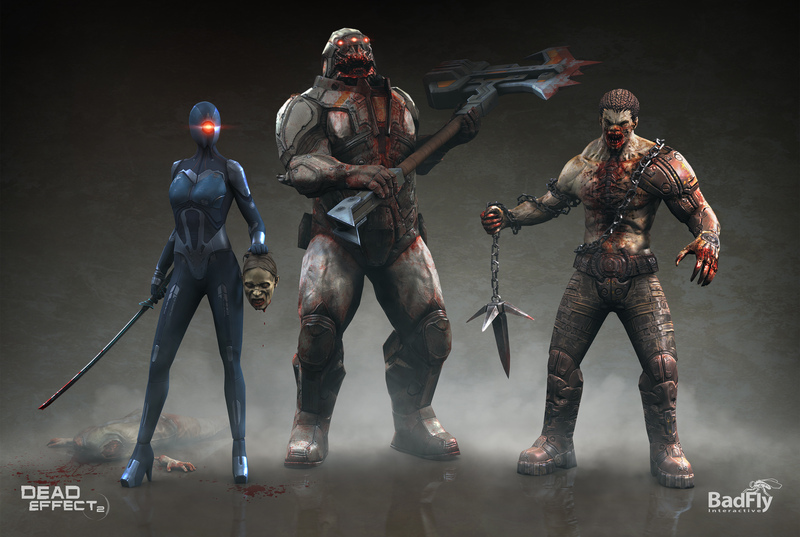 Luckily for Dead Effect 2, the menus aren’t too frequent, so it doesn’t hurt that much. Lack of multiplayer – It’s worth noting that the Xbox One version of the game doesn’t include co-op or multiplayer. While it would be an excellent addition to give the player even more reasons to return to the game, it really isn’t necessary. Perhaps those who have played Dead Effect 2 on another platform will feel cheated, but for a first-time experience, the game feels polished without it. While Dead Effect 2 had its bumps and rocky moments, I certainly enjoyed playing through the game. I’d even go as far as to say the bad dialogue and accents sort of grew on me by the end. For $11.99, this game feels like an absolute steal when considering the high replay value and three different types of classes to play as through the story. Dead Effect 2 is worth the buy. 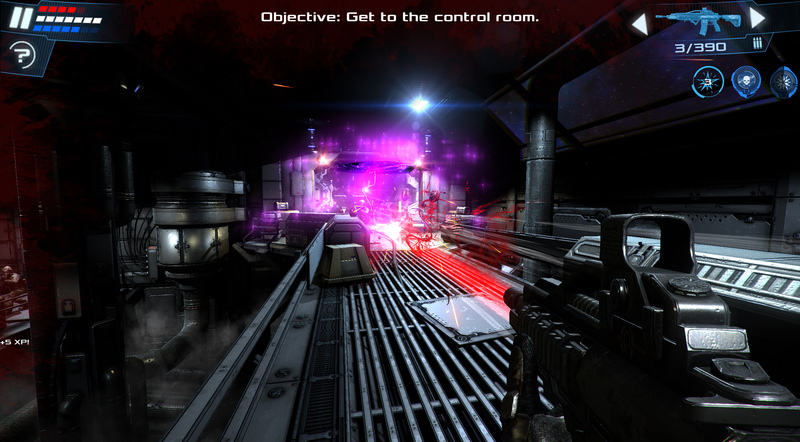 Dead Effect 2 was developed and published by Badfly Interactive, a.s. It was released for Xbox One on January 13th, 2017 for $11.99. An early copy was provided for review purposes.